After winning the opening race of 2015 Supersport World Championship in Australia, FIVE rider (wearing RFX1 gloves), Jules Cluzel (MV Augusta) prevailed again in Portugal last Sunday. 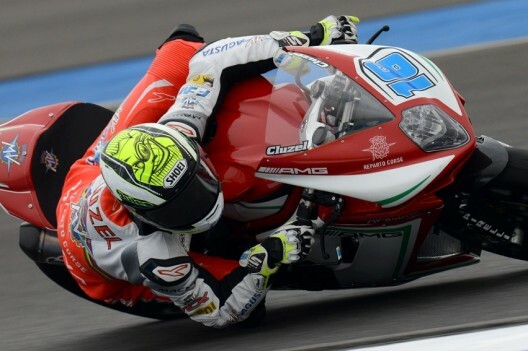 He had started his weekend by taking the pole position and track record on Saturday, in front of Kenan Sofuoglu (Kawasaki Pucetti), the championship leader. Jules has clinched the victory at the very last minute by only 184 thousandths of second ahead. The battle was tough and it makes the victory even more beautiful. Jules consolidates his second place in the SBK Supersport World Championship. In SBK race 1, X-lite pilot Chaz Davies was once again on the podium – for the tenth time this year! Jules Cluzel wears RFX1 REPLICA Five-gloves. 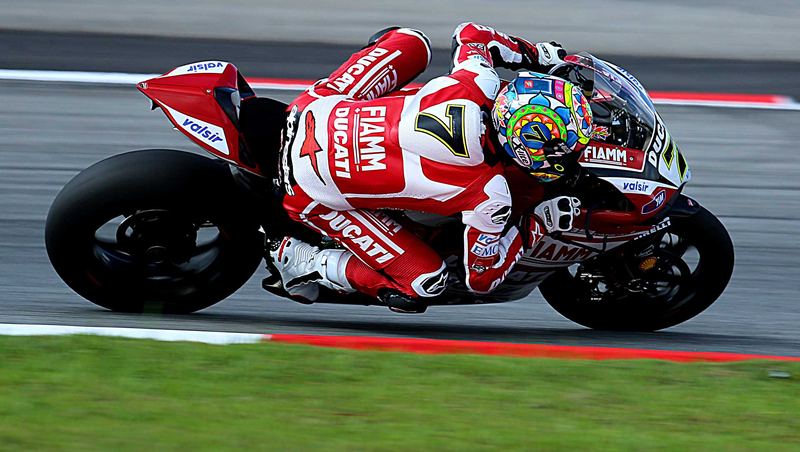 Chaz Davies wear the X-lite X-802R REPLICA.